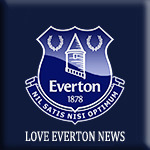 Six of Everton’s matches in December and January have been selected for live television coverage on Sky Sports. The Merseyside derby at Anfield will now kick off on Sunday 2 December at 4.15pm, having been originally scheduled for the previous day. The Blues’ home clash with Watford has been moved from Saturday 8 December to 8pm on Monday 10 December, with the trip to Manchester City the following week on Saturday 15 December now kicking off at 12.30pm. Tottenham Hotspur’s visit to Goodison Park will get under way at 4pm on Sunday 23 December. Spurs were originally scheduled to visit on 22 December . Meanwhile, the kick-off time for the Toffees’ home meeting with Leicester City on New Year’s Day will now be at 12.30pm. And Marco Silva’s men will host Bournemouth at 2.15pm on Sunday 13 January, with the game being moved from the previous day. Ticket details for the fixtures will be announced in due course on evertonfc.com. Click here for on-sale dates for Everton home games.